Over the holidays I stopped at a Goodwill Outlet I had only been to once. Not sure if I would find any film cameras, but I was wrong. I scored big. 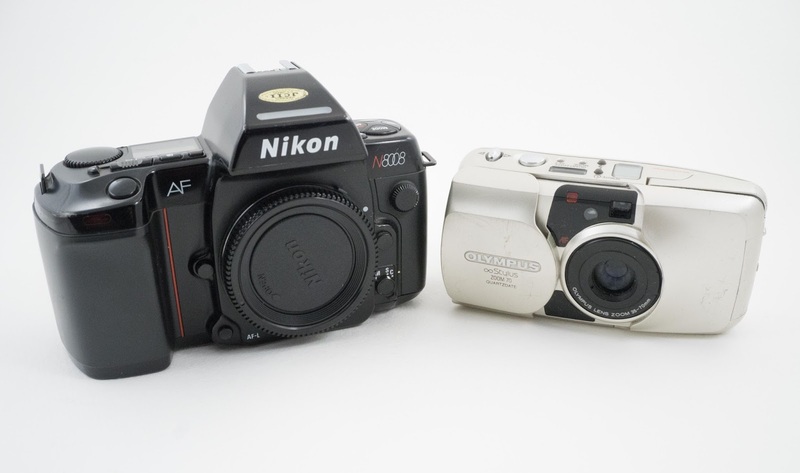 I found an Olympus Stylus Zoom 70 & a Nikon N8008. The Olympus is an advance point & shoot a bit bigger than my other Olympus Stylus cameras. It's a bit scratched up, but looks good to go. The Nikon was in surprisingly excellent shape. I've never had an N8008 but have shot Nikon SLR's & DSLR's for a long, long time. This one looks in excellent condition. I simply changed out the batteries and put on one of my many Nikkor lenses and it looks good to go. I'll give it a film check soon. All in less than $2.